Arsenal legend Thierry Henry has controversially urged Marcus Rashford to consider his future at Manchester United following the January signing of Alexis Sanchez. 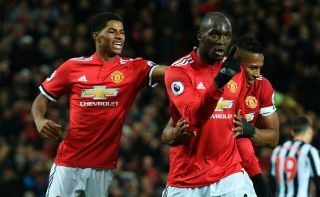 The Chile international is a big threat to Rashford’s place in United’s first XI, and Henry says it may soon be time for Rashford to think about leaving for more playing time. ‘One of the most important things for me is that you have to play,’ Henry told Sky Sports. ‘You cannot be on the bench and missing games, missing learning about the game and stopping that momentum, and an example is Rashford. ‘Leave is a strong word. Obviously being from there, he wants to play for United. But he has to play and it is becoming even more difficult for him since Sanchez has arrived. United fans would not want to see a fan favourite like Rashford leave, with the England international coming up through their academy to become a big player for the club, though Henry may have a point about his current situation.